Launching an online magazine is an exciting business venture. Sharing stories and news about topics that interest you is a great way to connect with other like-minded people and build authority in a particular niche. But, before you launch your online magazine, you will need a magazine or a news theme that will help you share your stories in style. 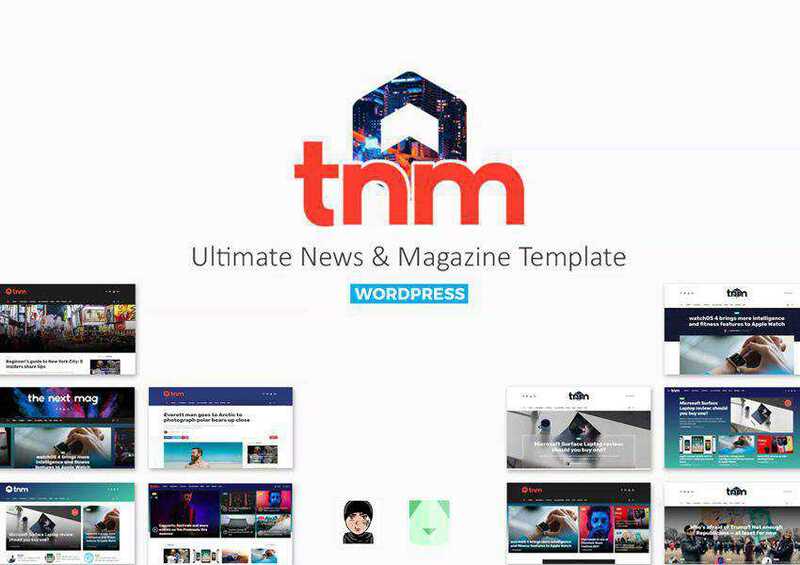 There is no shortage of high quality, free magazine and news themes for WordPress and in this post, we’ve gathered the best of them. 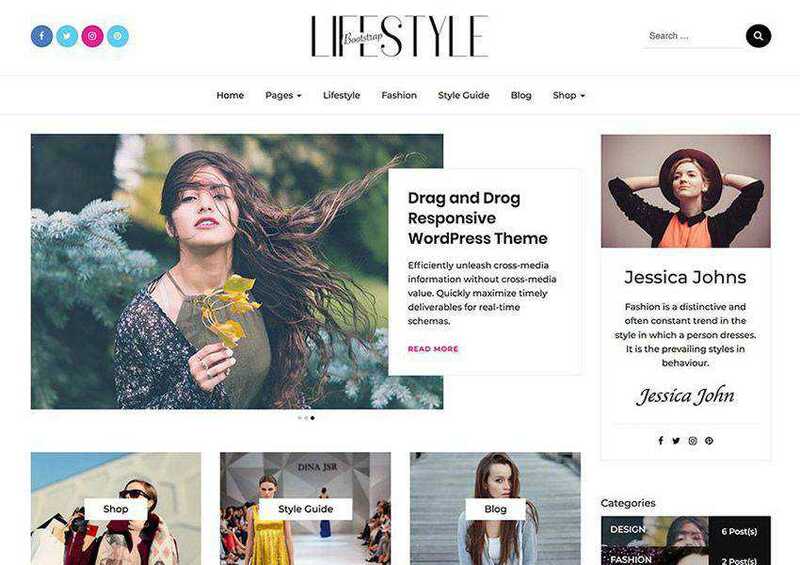 If you’re looking for free WordPress themes for blogging, take a look at this collection. 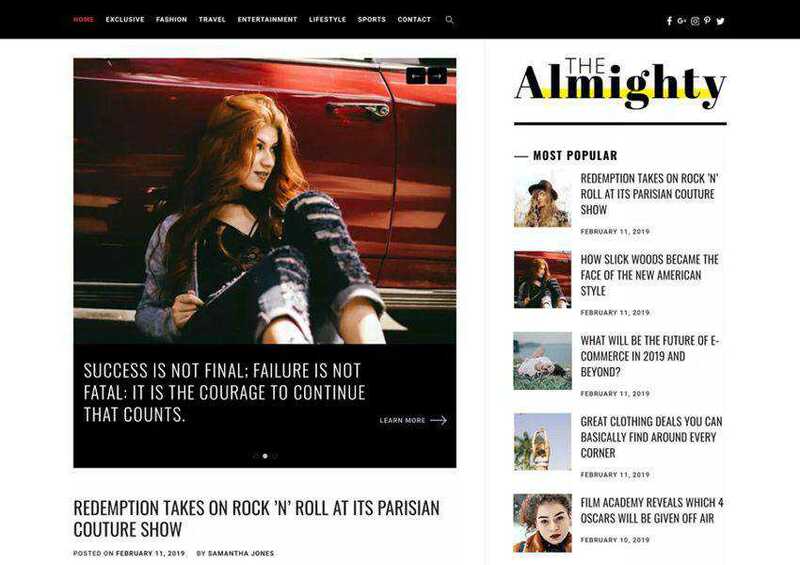 The Almighty theme has a clean and minimal design and offers multiple blog layouts. The theme is fully responsive and comes with tons of options for customizing the theme and making it your own. 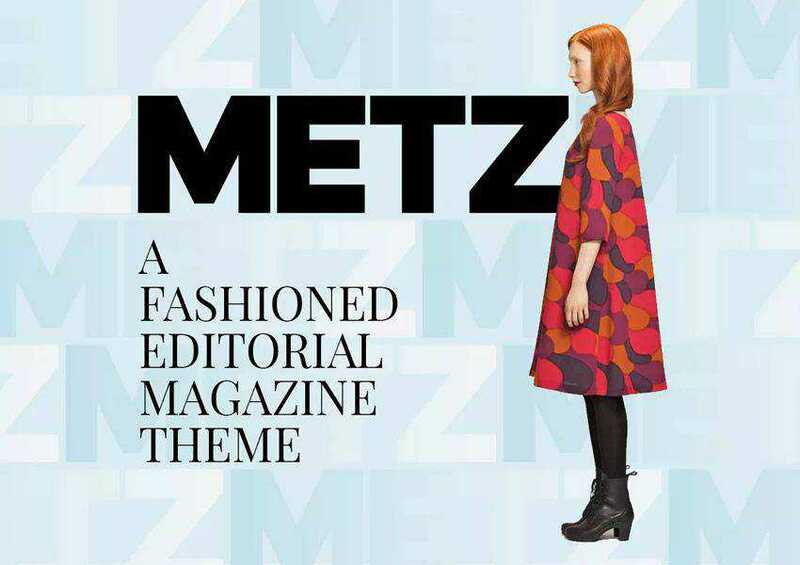 The Metz theme is a great choice if you plan on launching a fashion magazine or editorial. You get access to this theme when you sign up for Envato Elements monthly subscription and you will find features such as various listing styles, several blog layouts, and extensive theme customization options. 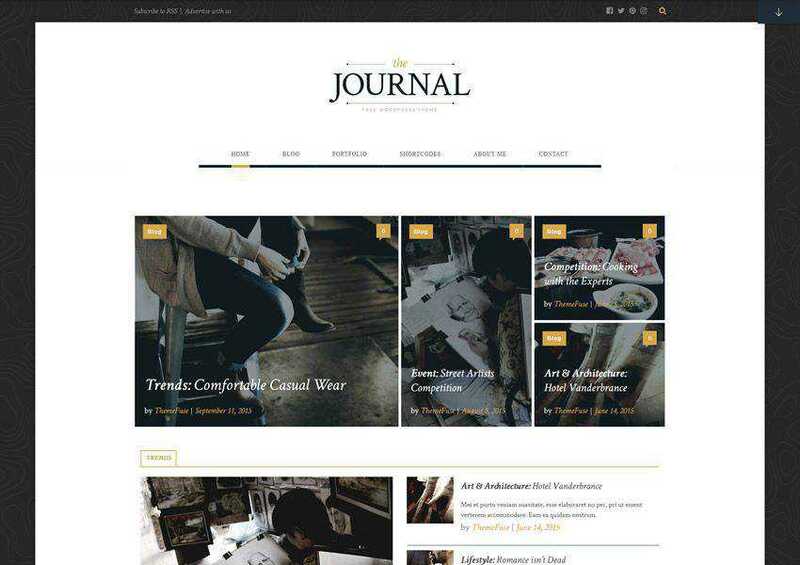 The Journal is a highly customizable WordPress theme designed with magazines in mind. The theme has a built-in slider option that’s perfect for sharing popular stories, a plethora of customization options, and a unique shortcode generator. The Crowley theme is suitable for any type of online magazine as well as for personal blogs. You can customize every aspect of the theme using the Live Customizer and you can choose between several column layouts for your archive pages. 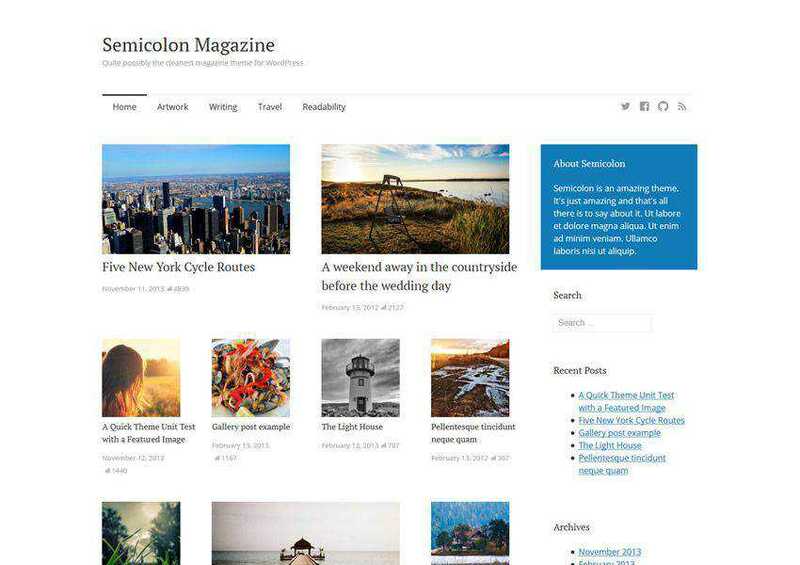 Semicolon is a simple and clean magazine theme for WordPress. It comes with a responsive layout, elegant and easy to read typography, and a unique grid layout with featured posts support. You will also find several widget areas, a menu for your social profiles, and more. 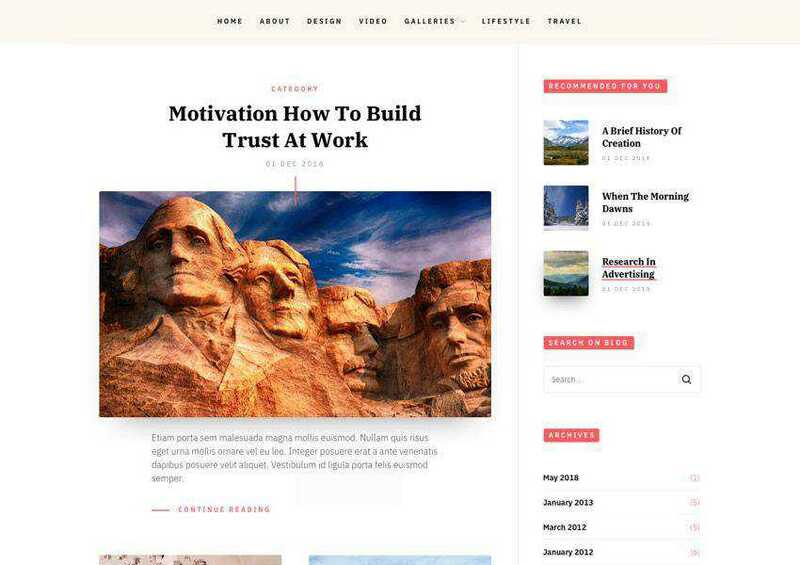 The Next Mag is a feature-rich magazine and news theme for WordPress that comes with your Envato Elements subscription. The theme offers features such as Ajax post loading, several demo options, mega menus, and a responsive design. 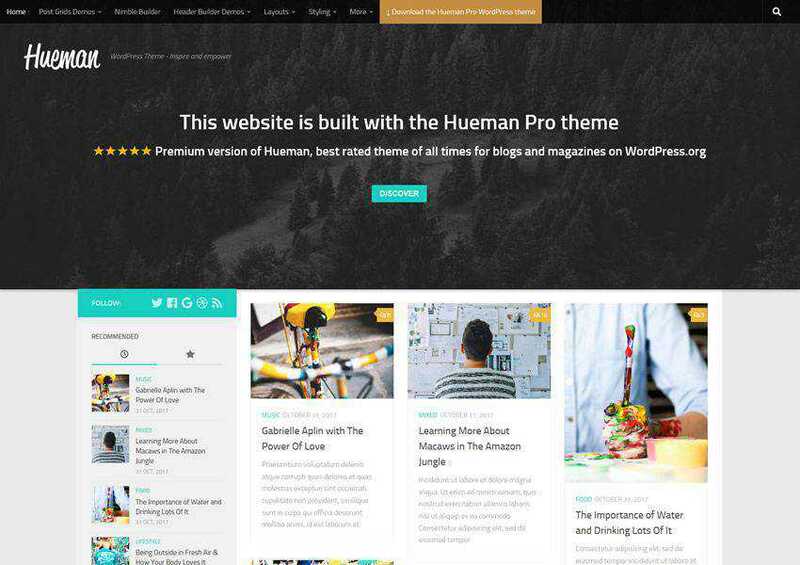 The Hueman theme has a modern design paired with the standard column layout. You can add up to two sidebars and insert widgets such as most popular posts, recent comments, social media icons, and more. It also includes multiple menu locations. 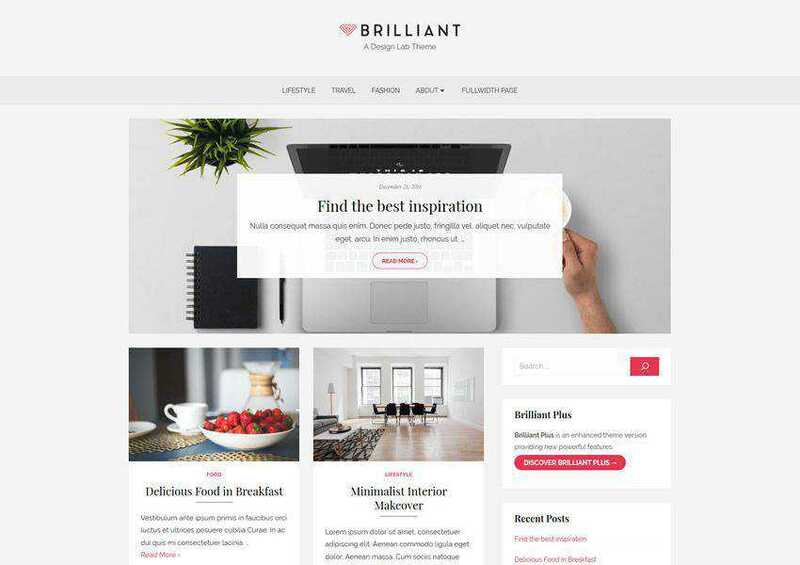 The Brilliant is a stylish WordPress theme that has a stunning slider on the homepage that’s perfect for sharing your latest post. You will also find the ability to showcase your post categories, and there are several customization options to make this theme your own. 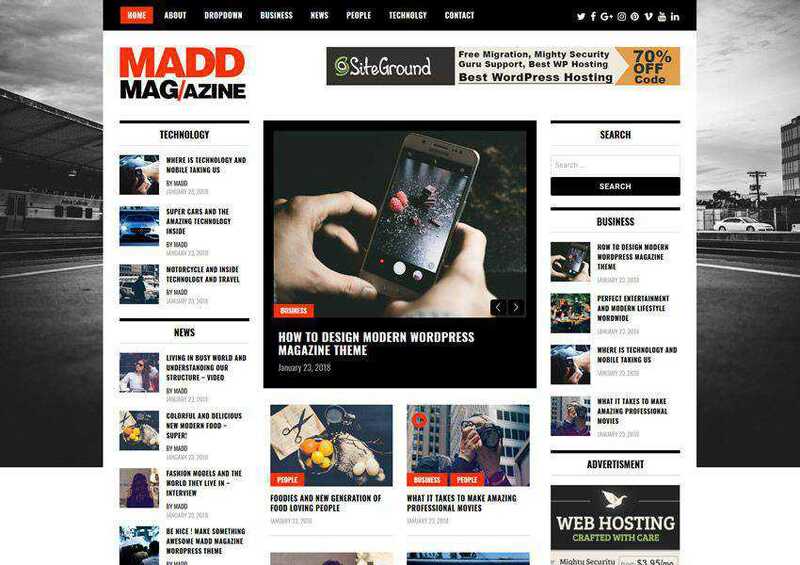 The Madd Magazine offers a traditional online magazine layout with plenty of widgets for popular posts, categories, advertising space, and more. It’s fully responsive and the ability to use videos in sliders. 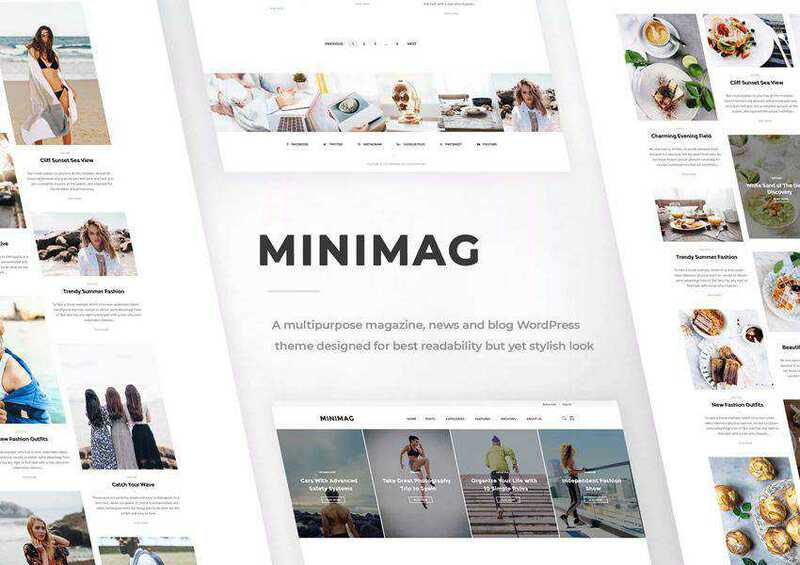 The MiniMag is a minimal magazine theme that can also be used for personal blogs. The theme comes with a number of different demos which can be imported with a single click. It’s fully responsive and offers tons of customization options. 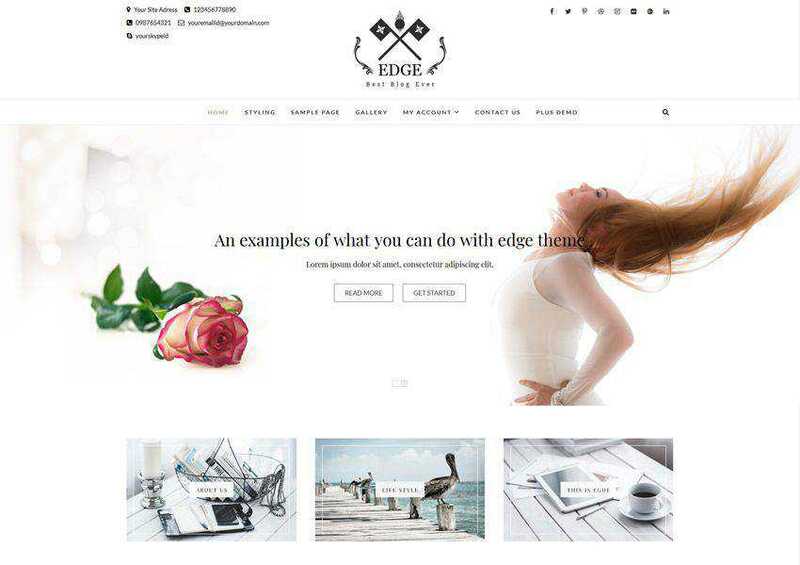 The Edge theme is perfect for blogs and magazines. It was designed to load fast and includes SEO optimization features as well as responsive design and multiple layout options. The Bootstrap Blog theme is based on the popular Bootstrap framework which means it will be responsive out of the box. It also offers features such as extensive theme options panel, various layout options, and WooCommerce integration. The Split theme offers a unique split layout that makes your featured images stand out. It has an organized grid layout and sticky titles and images that remain visible as you scroll down the page. 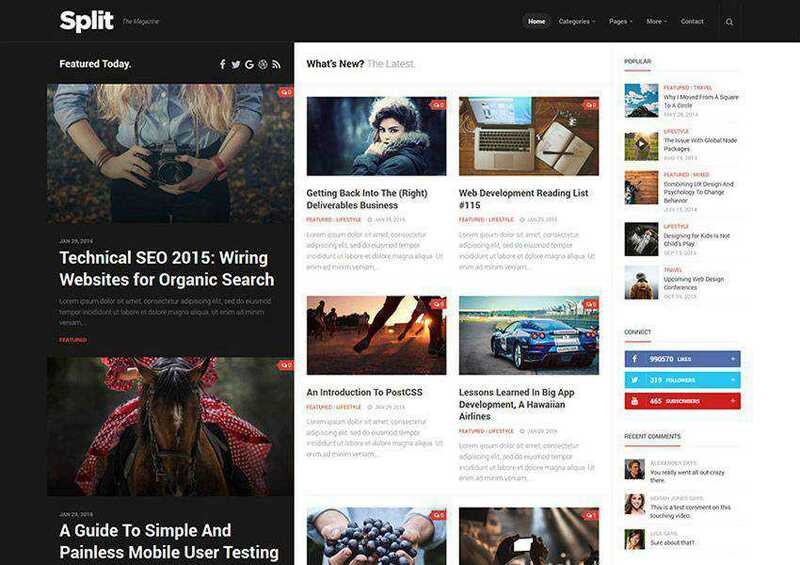 The StuffPost theme features a professional and modern design made for online magazines. 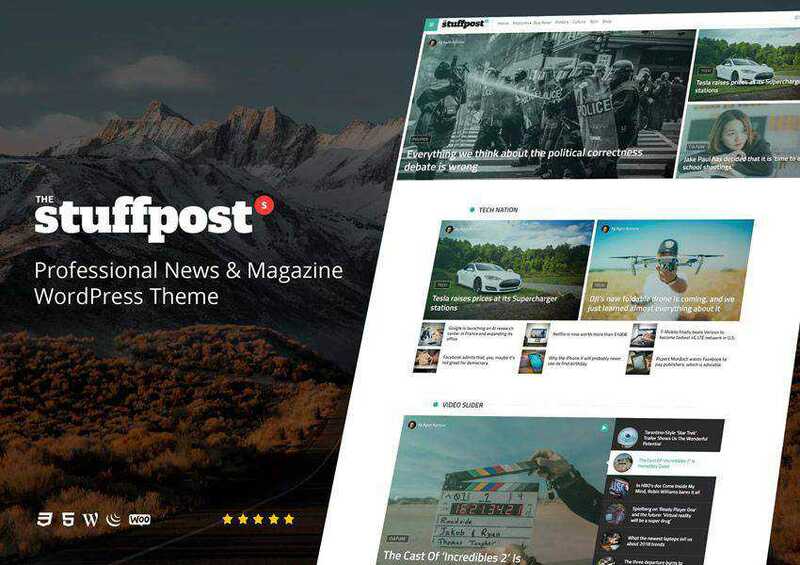 The theme comes with several demo options, easy to use homepage builder, and the ability to share both video and audio blog posts. When it comes to your online magazine, an attractive design that offers a pleasant reader experience is crucial. Make your magazine the best it can be with one of the themes on this list that offer beautiful layouts, legible and elegant typography, and a responsive design that looks great on all devices.